The Volkswagen duos have the most successful WRC event in the team’s history behind them. As such, World Championship leaders Sébastien Ogier/Julien Ingrassia (F/F), their closest rivals in the overall standings, Andreas Mikkelsen/Ola Fløene (N/N), and Jari-Matti Latvala/Miikka Anttila (FIN/FIN), fresh from their victory last time out, go into the Rally Italy with high hopes of adding another victory to Volkswagen’s impressive collection. The sixth round of the WRC season, which this year takes place from 11 to 14 June 2015 and marks the halfway point in the FIA World Rally Championship (WRC), has been held on Sardinia since 2004. It poses a major test for man and machine, with such classics as the “Monte Lerno” special stage and the notorious “Micky’s Jump”, which is so popular among fans and drivers alike. On Saturday, the elite of the international rally scene will also face the longest day of rallying of the season so far – featuring 212.83 of the rally’s 394.63 kilometres against the clock. The three Volkswagen duos of Ogier/Ingrassia, Mikkelsen/Fløene and Latvala/Anttila do battle for points and positions armed with three identical Polo R WRCs – as they did at the recent Rally Portugal, when Volkswagen celebrated its best result in WRC history with a one-two-three in both the overall standings and on the Power Stage. 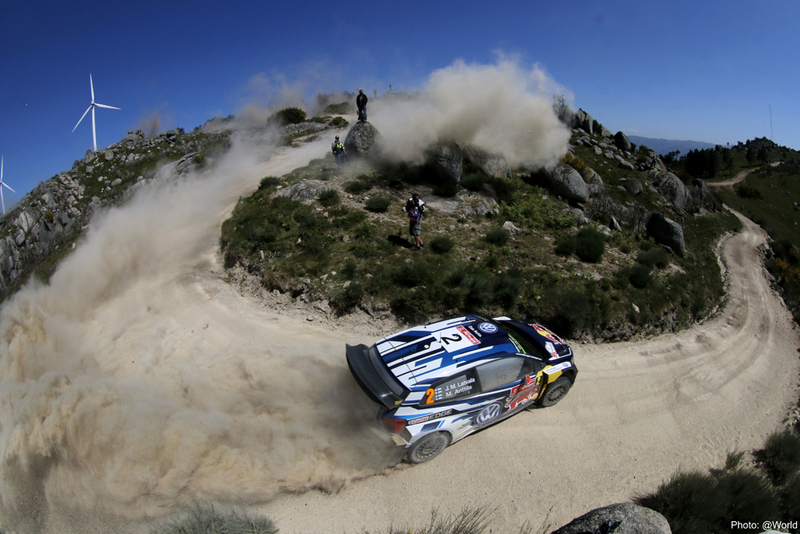 Volkswagen has won the Rally Italy two years in a row – in 2013 and 2014. However, the sporting success is not the only thing to stir up positive memories. The world-famous “Micky’s Jump” is not only a crowd puller, a moment guaranteed to send shivers down even the hardiest of spines, and the picture-postcard image of the Rally Italy – Sébastien Ogier’s jump on this crest in 2013 was also officially crowned the “FIA Motorsport Moment of the Year”. Fast forward twelve months and another vivid memory springs to mind: in 2014, the drivers, co-drivers and team management followed the podium ceremony by leaping into the harbour at Alghero to celebrate Ogier’s second victory in Italy. Not everyone went in of their own accord but, even without an official title, this was the fun moment of 2014 for the Volkswagen team. One of the most spectacular jumps on the WRC calendar, plus Tifosi aplenty: Micky’s Jump is one of the highlights of the rally scene. The World Rally Cars approach this crest at about 100 kilometres per hour. The drivers brake briefly coming into a right-hander directly before Micky’s Jump – the rest is “hang time” and, thanks to the road falling away after the crest, a flight of up to 40 metres. By the time the rally drivers and co-drivers pass this notorious spot, their powers of concentration have already really been put to the test. The 42-kilometre “Monte Lerno” special stage – the longest of the 2015 Rally Italy – brings the curtain down on Saturday’s afternoon loop. The longest day of the season features 212.83 kilometres of special stage, which is more than half of the entire rally. But Thursday, Friday and Sunday are not to be trifled with either. The 2.5-kilometre “Città Di Cagliari” spectator stage kicks off proceedings and follows the ceremonial start in Cagliari on Thursday evening. The going really gets tough on Friday morning, when “Grighine Sud” requires the competitors to change their rhythm continuously over 26.31 kilometres against the clock. However, the sporting highlight comes in the form of Sunday’s “Cala Flumini” special stage, whose 11.77 kilometres form the closing Power Stage when the participants tackle it for a second time. Here, bonus points towards the World Championship are up for grabs for the fastest three drivers and co-drivers. Have Jari-Matti Latvala and Miikka Anttila finally cracked it? After three scoreless rallies in a row Latvala/Anttila returned to winning ways in the World Rally Championship with victory at the most recent rally in Portugal. In doing so, the 2014 runners-up in the WRC climbed four positions into fifth in the overall standings. They may already trail World Championship leaders Ogier/Ingrassia by 59 points, but their great dream of winning the World Championship title is still in their own hands. In Portugal, Latvala/Anttila made clever use of their advantageous starting position before calling on all their experience to manage the lead they had established through to the finish and claim their first win of the season, the 13th of their career, and their sixth with Volkswagen. 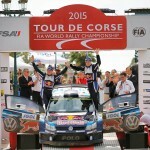 Volkswagen is set to pass several milestones at the Rally Italy. One such figure is the 30,000 kilometres of special stage since joining the series with the Polo R WRC. The joint milometer for the cars from Wolfsburg currently stands at 29,188.44 kilometres. If everything goes to plan, Sébastien Ogier is on the brink of claiming his 40th podium. Andreas Mikkelsen, meanwhile, is gunning for his tenth top-three finish in the World Rally Championship in Italy. The Rally Italy also marks the first time that the three Volkswagen duos will have the 400th stage win for the Polo R WRC (currently: 392) in their sights. Jari-Matti Latvala is also not far from the big 400. He needs another twelve stage wins to pass this next milestone. 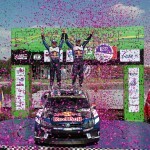 Another ten for Sébastien Ogier will take the champion’s tally to 350 stage wins. You have just celebrated your 25th anniversary with the company. How did you actually get started at Volkswagen Motorsport and what part of your job has changed most during that time? How did you celebrate your anniversary at the company? The Rally Argentina was far from ideal from a Volkswagen point of view. However, this must only have made the one-two-three and top three positions on the Power Stage at the Rally Portugal taste all the sweeter. Do you believe Volkswagen will continue the success story of the past two and a half years?